Sheeba news! 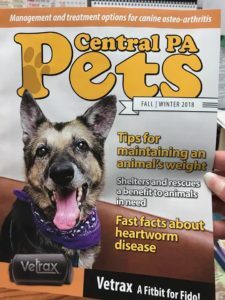 – A Reason to Believe Animal Rescue, Inc.
Sheeba made the front cover of a magazine!!! She will also be a special guest at the Pet Expo in Altoona, PA on October 28!! !